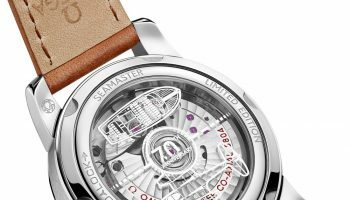 The nickname of the Speedmaster 38mm is "Cappuccino"
The Omega Speedmaster is one of the popular chronographs in the world. So why not keep enriching this elegant collection? To start with introducing a diameter of 38 mm. The renowned design and heritage are still central, but the watch has now been given a new aesthetic appearance. 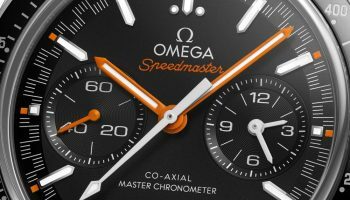 But Omega shows more of its tradition to play with the concept that each new Speedmaster should carry the soul and design from previous models. 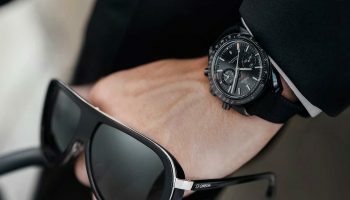 Therefore Omega also presents the Speedmaster Automatic, and in the new watch it is immediately clear when you view the dial. Two more beauties added to the heritage of the Omega Speedmaster. Omega presents the Speedmaster 38 mm and the Speedmaster automatic. Two new appearances of the renowned Speedmaster collection. Sixty years after the introduction of the very first Speedmaster chronograph. 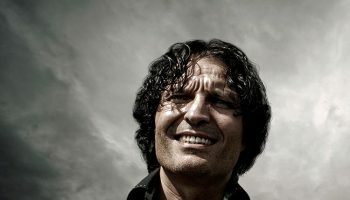 Still a special source of inspiration. Simplicity combined with an iconic design is the idea. 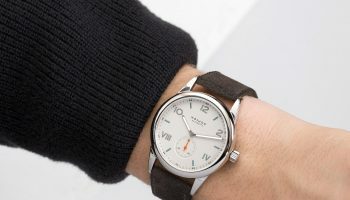 The nickname of this model is “Cappuccino” and is part of the wider collection for both men and women. The case is made of stainless steel and 18K Sedna ™ gold and creates an elegant match with a taupe leather strap. An interesting feature of this watch is the diamond-brown pave bezel of aluminum, that also includes a tachymeter scale on a brown aluminium ring. This dual design has enabled Omega to add the elegance of diamonds and also retain the sporty DNA of the original Speedmaster models. 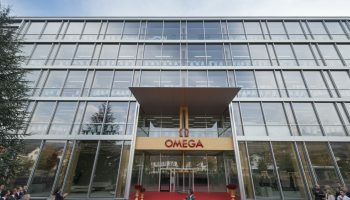 If you look closely, you see that the oval subdials closely resemble the logo of Omega. 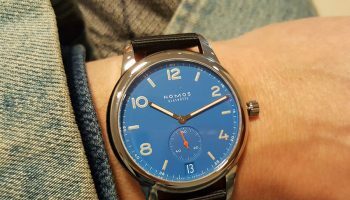 The dial has an oval date window at the height of the 6. The “baton” hands and markers are made of 18K Sedna ™ gold. On the back of the cabinet is the iconic Seahorse medallion stamped with the Speedmaster. 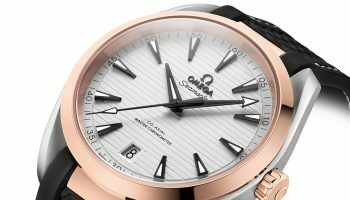 The watch is powered by the Omega caliber 3330 with Co-Axial technology and a silicon balance spring. With the presentation of the Speedsmaster Automatic an iconic racing dial returns. It has become a real tradition at Omega: each new Speedmaster carries the soul and design inspiration from previous models within. The new Speedmaster Automatic is to see this right on the dial.The striking-minute mark on this stainless steel watch was first used in a Speedmaster model from 1968. It refers to the heritage of the Speedmaster in motorsport and is now re-released on a matt black dial. Other notable features include the orange accents and 18K white gold hands with arrow-shaped tip and beveled edges. The hands come with white Super-LumiNova. In this Moonwatch facelift subdials were slightly enlarged, making them easier to read. 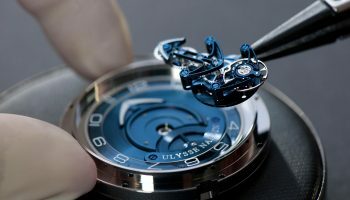 The cabinet with a diameter of 44.25 mm is slightly thinner than previous versions, which is partly due to developments in the area of the sapphire glass. The polished ceramic bezel features a tachymeter scale and brushed Liquidmetal® letters in the same distinctive orange color as the paint on the hands and the tip of the second hand. The watch is worn on a black leather wrist strap which is provided with an orange rubber intermediate layer. With a punch are then applied micro-perforations, allowing to see the distinctive orange rubber is. This eye-catching design creates a sporty look and also allows air, which increases the comfort. 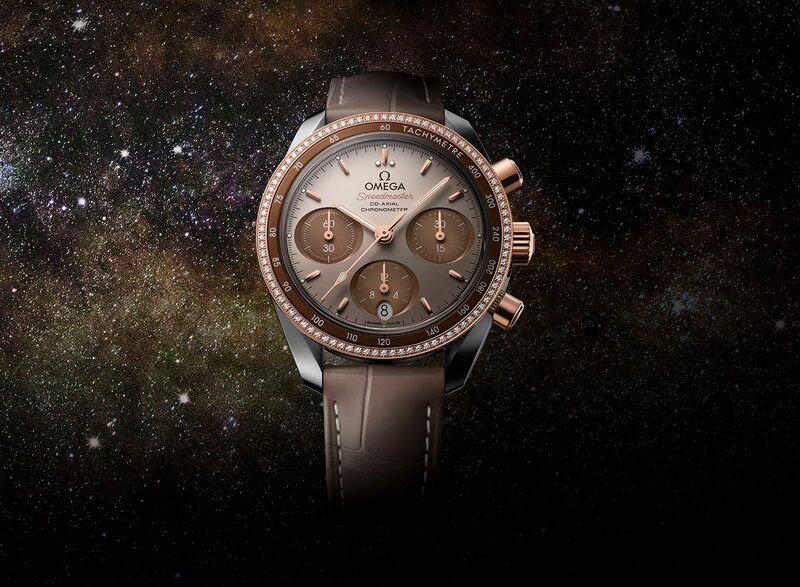 The Speedmaster Automatic is another Speedmaster model with master Chronometer certification. 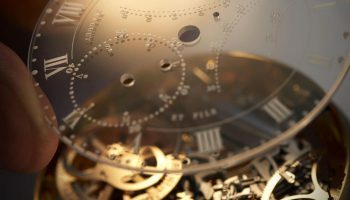 The watch is powered by the caliber 9900 and meets the highest standards in terms of precision, performance, and magnetic resistance of the Swiss watchmaking. It is approved by the Swiss Federal Institute of Meteorology (METAS).